ourselves as prestigious Hotel located just walking distance away from the main gate of Taj Mahal, We are located near the most important location in Agra that is Taj Mahal, The roof top view of Taj Mahal is outstanding because of the proximity between the first wonder of the world and also you can shop very easily because most of the emporium is located near the hotel. 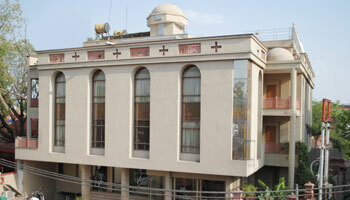 Hotel offers you a peace and calm atmosphere with a comfortable stay. Currency Exchange, Doctor on Call, Backup Generator, Parking, Security Guard, Laundry Facilities, Room Service, Breakfast Services, Airport Transportation, Travel Counter. Air Conditioning Room, House Keeping, Toothbrush/Razor on Request, Attached Bathroom, Iron/Ironing Board, Cable/Satellite TV, Wakeup Calls, DVD Player, H/C Water.